#6 x 1" Fine Pan Head Screws, 500 pc. 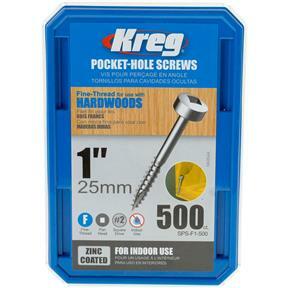 Kreg SPS-F1-500 - #6 x 1" Fine Pan Head Screws, 500 pc. 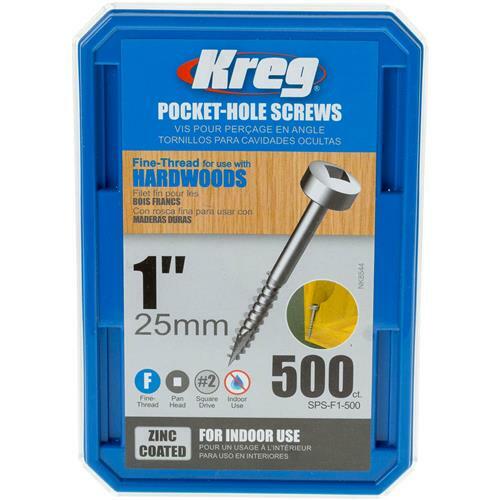 This 1" fine thread, #2 square drive pan head screw works well in 1/2" thick, hardwood material such as oak, maple, hickory, cherry and walnut. The deep recess, pan head of this screw provides excellent driver engagement and is popular in framing applications involving hardwoods. The screw features a type 17 auger tip that self-taps its' own hole, eliminating the need to predrill in even the hardest materials. Our screws have a dry-lubricant coating that eases driving torque and provides greater rust resistance.